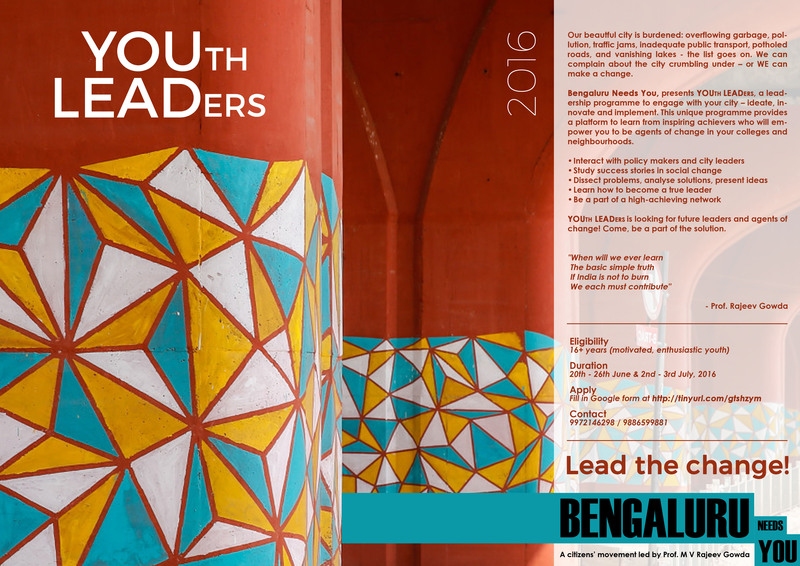 On the final day of YOUth LEADers 2016, Bengaluru Needs You is conducting a field activity in association with The Ugly Indian on Saturday, the 2nd of July. Even if you missed the workshop part of the programme, we invite you to come be part of this field activity to rejuvenate namma Bengaluru. Bring your friends and family along – let them be a part of Bengaluru’s transformation! Location: The Mission Road segment of the Richmond Circle Flyover, Bengaluru. 1. Come in clothes you can get dirty in. 2. All tools, materials & instructions will be provided on the spot. 3. Your own drinking WATER BOTTLE is recommended. In the past few years, Prof. Gowda has been enabling the youth of Bengaluru to engage in civic action by conducting Political Action Internship, Urban Action Internship and Environmental Action Workshop under the Bengaluru Needs You initiative. This year we bring to you YOUth LEADers 2016. This is an opportunity to engage with our city – to ideate, innovate and implement. This unique programme provides a platform to learn from inspiring achievers who will empower young minds to be agents of change in their colleges and neighbourhoods. To apply, please fill out the form (click me) by the 19th of June, 2016. Bengaluru Needs You organized ‘Church Street Kite Carnival’ in partnership with The Entertainment Store, Rooster Guitars and Bheemas restaurant. Bengaluru Needs You organized the Church Street Kite Carnival on 10 January 2015 to bring the Church Street community and all citizens of Bengaluru together after the bomb blast and engage in this unique event in solidarity. The event was conducted in partnership with Rooster Guitars, The Entertainment Store and Bheemas restaurant. 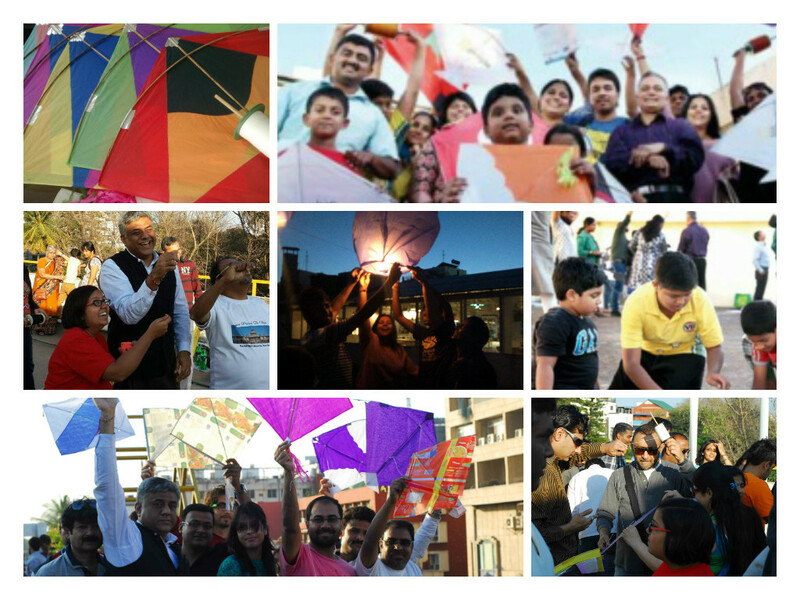 There were eight terraces marked for kite flying and the event saw about 200 Bengalureans come together. It was an evening of solidarity, peace, laughter, new friendships, melody, chai and nostalgia. 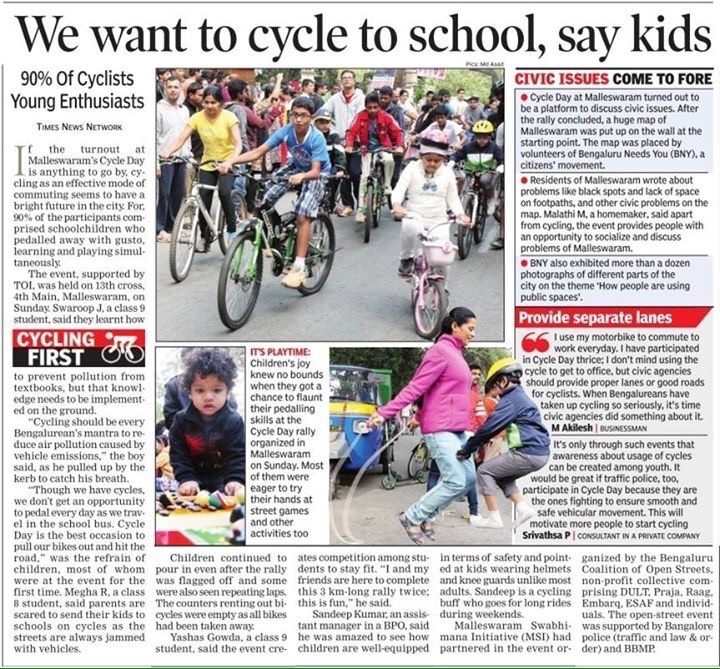 Cycle Day at Malleswaram turned out to be a platform to discuss civic issues. After the rally concluded, a huge map of Malleswaram was put on the wall at the starting point. The map was placed by volunteers of Bengaluru Needs You (BNY), a citizens’ movement. BNY also exhibited more than a dozen photographs of different parts of the city on the theme ‘How people are using public spaces’. Great events, I would like to be a part of these events. Thank you. Please follow us on our Facebook page and we will keep you updated on your future endeavors. Looking forward to your participation.